Small seabird (L 34 cm). 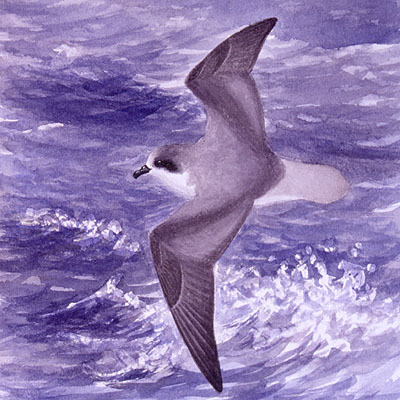 Fea's Petrel spends much of its life at sea, and birds come ashore only in order to breed. The food includes plankton, squid and small crustaceans. The species is sedentary. Although its numbers (200 breeding pairs) are probably now stable it has probably declined considerably within historical times. The main threats to the species, limiting its population size and distribution, are probably the continuing loss of breeding habitat and the recent population explosion of Yellow-legged Gull(Larus cachinnans).